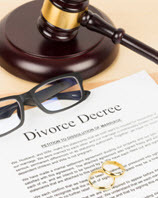 In this post, we will explore an important topic in Maryland family law – absolute divorce. Unlike limited divorce, which is similar to a legal separation, absolute divorce represents the permanent end to a marriage. But before we delve into the details of absolute divorce, we need to review the residency requirements for divorce in Maryland. 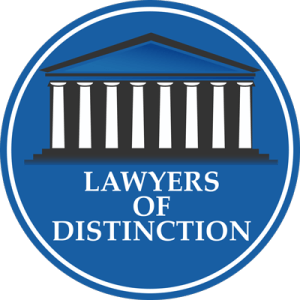 What are the Residency Requirements for Divorce in Maryland? Maryland law imposes several statutory residency requirements for divorce in Maryland. The residency requirement changes based on the reason for divorce. For example, if the reason for divorce occurred outside of Maryland, there is a six-month residency requirement. Alternatively, if the reason for divorce is insanity, then there is a residency requirement of two years. There is one exception. If both of the spouses are Maryland residents – and the reason for divorce occurred in Maryland – then there is no residency requirement. What is the Maryland Approach to Absolute Divorce? On a fundamental level, absolute divorce is the final and permanent dissolution of a marriage. In order to qualify for absolute divorce, a person must list their reasons for wanting a divorce. Separation – The spouses have lived apart from each other for at least one year and have not engaged in sexual relations during that time. Agreement – In the absence of minor children, the spouses both agree to end the marriage on mutual terms, as outlined in a written settlement agreement. Infidelity – One of the spouses engaged in sexual relations with a person other than their spouse. Abandonment – One of the spouses abandons the marriage without sufficient justification. Cruelty – One spouse engages in cruel conduct against the other spouse or their minor children. Insanity – One of the spouses is declared legally insane by a licensed doctor. This ground is only available after the insane spouse has been institutionalized or hospitalized for at least three years. Conviction – One spouse was convicted of crime and sentenced to at least three years in jail. This ground is only available after the convicted spouse has served at least one year in jail. After completing all of the legal requirements, the court issues a decree of absolute divorce. At that point, the marriage is officially terminated. Either spouse is free to marry a new spouse. All property will be divided according to the settlement agreement or court order. Do You Need Legal Help from a Trusted Family Law Attorney? Whether you are dealing with divorce, child custody or other facets of family law, the process can be long, tiresome and incredibly stressful. To help overcome such difficult circumstances, it can be helpful to seek counsel from a trusted family law attorney. 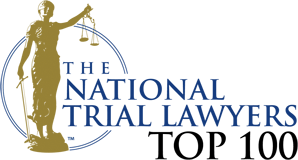 Schlaich & Thompson, Chartered has more than 55 years of combined legal experience with a specific focus on family law and related considerations. If you have legal questions about divorce or other facets of family law, our Maryland attorneys are eager to assist you today.